With the holidays approaching, many people will be asking themselves, “What can I do to help others who are suffering?” Well, ask no more. 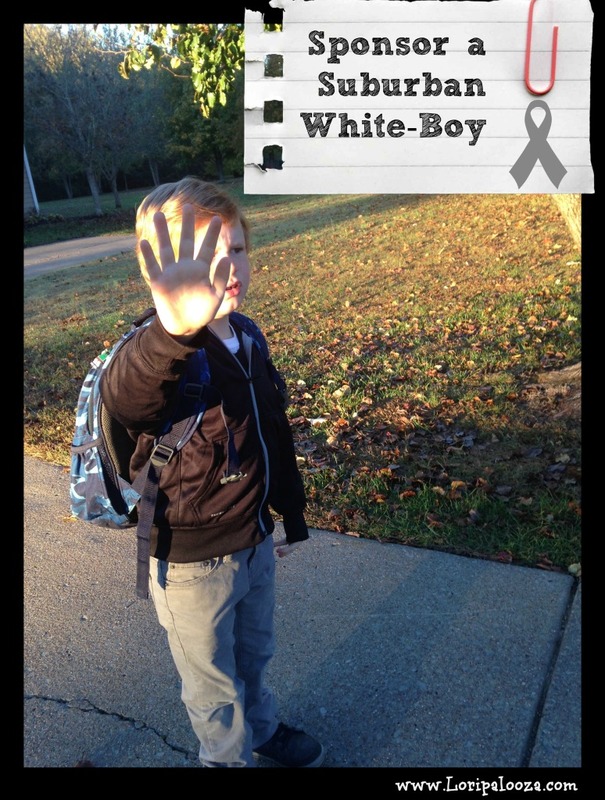 The struggle of the suburban white-boy is all too often overlooked. I made the following video in an effort to change that and raise awareness. Please don’t let their suffering continue. This video highlighted the struggle of just one white boy, but there are millions more out there facing daily dilemmas like, “Should I play with my Xbox 360, or my Nintendo Wii U?” No child should ever have to make that decision. Not in America, dammit. I heard recently that the same white boy in this video had to share a snack with another child because their mother forgot to send a snack to school that day. Yes, you read that right. Two children sharing one box of Goldfish crackers. Friends, it doesn’t have to be this way. What can you do to help? I’m challenging everyone who reads this to share it with at least one person and show you support suburban white-boys everywhere by wearing their signature gray ribbon. Together we can make a difference.